A domestic brand surge and an easy comparison against last year vaulted September new-vehicle sales 35 percent higher at AutoNation Inc., the country’s largest retailer. 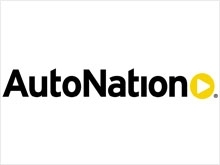 AutoNation reported today that it sold 18,040 new vehicles at retail last month. Domestic brand sales rose 54 percent to 5,353, import sales rose 34 percent to 9,558 vehicles, and premium luxury brand sales rose 14 percent to 3,129. For the entire third quarter, AutoNation posted retail new-vehicle sales of 56,340, a 3 percent increase over the clunkers-aided third quarter of 2009. AutoNation’s pickup sales rose 50 percent in September. Businesses are buying replacements after postponing such purchases during the downturn.